and Harold Arlen, without mimicking them." 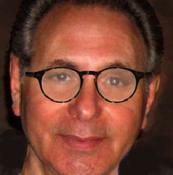 BOB LEVY started his songwriting career in New York City when he was twenty-two, co-writing with singer-songwriter Ronny Whyte. That songwriting partnership continues today creating jazz songs that have been performed at many New York clubs like Birdland and The Kitano and have also been featured in major television programs. Bob also collaborates with multi-talented composer and musical director Alex Rybeck in New York and one of their many tunes, "HE REMEMBERS, SHE REMEMBERS", recorded by Joyce Breach, was a 2014 MAC nominee for song of the year and Nicolas King's recording of their song "BEST AS I CAN" a 2019 MAC nominee. One of Bob's other collaborations was with New York based composer and bassist Jon Burr and vocalist Lynn Stein. A joint CD, "A LITTLE BIT MORE", was released in June 2011. Bob also has written many songs with Boston songwriter Harriet Goldberg as well as Krisanthi Pappas and Dennis Livingston, son of leadendary songwriter Jerry Livingston. Their collaboration "DANGEROUS WOMEN" was performed in Australia at The 2013 Fringe Festival. Bob's collaboration "THIS TIME" with Australian born singer/songwriter Karen Jacobsen was a 2009 MAC Award nominee for Outstanding Song Of The Year. Bob has also collaborated with Grammy nominated songwriter Boris Midney and most recently with famed New York composer Tex Arnold. Bob's song "PARIS WITHOUT YOU" was featured in the Touchstone film "YOU AGAIN" staring Betty White. Several of his other jazz songs and collaborations have been featured on major network and cable televisioin shows. Songs from Bob’s Jazz CD’s have been featured on Buenos Aires, Argentina’s FM Jazz Radio, Ruiz 91.7, NPR's WVOF 88.5 FM as well as Pandora Radio and other Jazz stations in the US. In 2007 "A Musical Celebration", a showcase of his songs was held at The Laurie Beechman Theater with vocalists: Barbara Brussell, Laurie Krauz, Marcus Goldhaber, Sue Matsuki, Dane Vannatter, Vincent Wolfe and Ronny Whyte with Tedd Firth as musical director. Bob's song "PARIS WITHOUT YOU" (recorded by Perry Danos) was selected by ASCAP for their EMERGING JAZZ WRITERS radio broadcast series in 2009. Bob has released seven CD's of his original songs and collaborations: "Out In the Cold" in 2006, "Me & My Best Friends" in 2008, "Fire In My Soul" in 2009, “Off His High Horse” in 2010, "A Little Bit More" in 2011, "Connections" in 2015, his jazz instrumental CD, "Lost For Words" and his pop CD "Love Could Pass Us By" released early in 2018. Bob's newest jazz vocal album, "Only A Matter of Time" with vocals by Dane Vannatter, La Tanya Hall, Nicolas King & Laurie Krauz released at the end of 2018 was a 2019 MAC nominated CD. His Jazz and country songs are now being performed throughout the US, Canada, the UK, Italy, Greece and Japan. Bob Levy is a member of the American Society of Composers, Authors and Publishers (ASCAP) in New York, as well as the Manhattan Association of Cabarets & Clubs (MAC) and The Boston Association of Cabaret Artists (BACA). Bob's publishing company, Silk River Music, is represented by ASCAP and The Harry Fox Agency in NYC. You can contact Bob Levy at: boblevy@silkrivermusic.com and listen to his songs on Amazon, CDbaby, Youtube, iTunes, Spotify, iHeart Radio, Pandora and more.